Chapter 26: Mixed Spheres of Awareness, page 209. When you experience mixed spheres of time and consciousness you sample how others would have felt. It takes tremendous practice to hone into an individual, and their experience, but it can be done if you are determined to explore this concept of One Time, One Being. Simply enter a labyrinth and focus upon the many footprints of those who have walked there before you. The Labyrinth is an ancient symbol for contemplation. 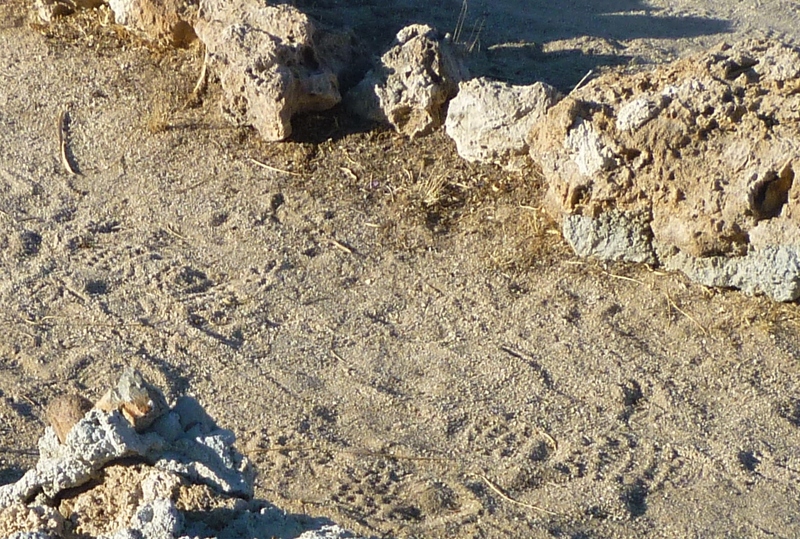 I walked a sandy labyrinth located at the Maturango Museum in Ridgecrest, California many times. I found great solace when I walked this labyrinth because I was lonely, and each time I entered it I felt a warm comfort envelop me. You see, I transcended my expectation and allowed myself to experience the “now” of each walk. In that “now stage of consciousness” I also accessed the Eternal Now of “when” the others, who had walked the labyrinth, had been there. The comfort I felt wrap around me, I believed at the time, was the collective energy signature of these walkers. It was on February 13, 2006, that I received a two-part message while I walked through the labyrinth. The experience gave me what I have begun to call the “teaching at the labyrinth”, and I was truly surprised at the depth of the content until I realized that I had received a “thought form” of information. [A thought-form can be a full package of information from the beginning of a thought to its conclusion, or it can come to you in be bits and pieces; it depends upon your need to know at the moment when the experience is occuring. I have received thought-forms in rounds. which means I get piece by piece, but in order so it builds the whole message at a rate that I can absorb and understand. This is what I experienced that day. As I looked down at the sand, I saw at least three or four sets of footprints beside my own barefooted prints. I realized that these others had searched for a personal moment of clarity, too. We had come to the same place but at different times. As we thought about our problem while walking into the center of the labyrinth, we traversed space and time as we remembered the situation, event, feelings, and people from our past. We utilized “access consciousness” as well as “emergentism”, in that our thoughts built upon one another to bring us to a new clarity we did not have originally. Like an opportunity to expand our consciousness, we allowed some aspect of “Self” to transform us as we gained inner wisdom through the recall, this time from a new perspective.